Catching a ride or catching a plane? Follow these steps and you’ll have everything you need wherever you go. 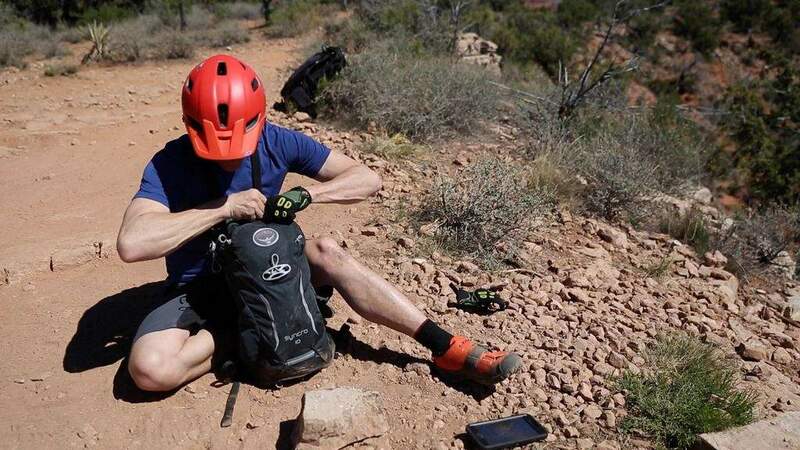 OK guys, we’ve learned a thing or two from the trail. Light is right. Ditch the over-pack-and-forget-everything method. 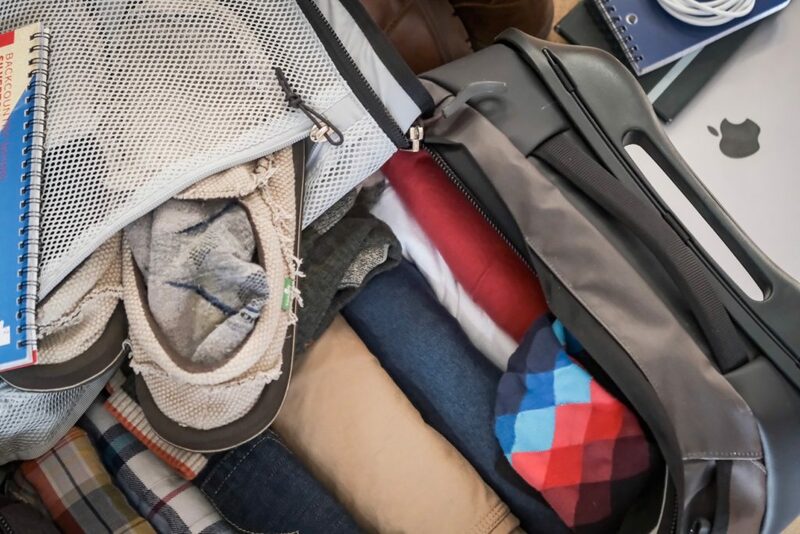 Whether it’s quick holiday travel, a short business trip or just a casual weekend away, when it comes to how to pack for short trips, it’s an art. We can help. 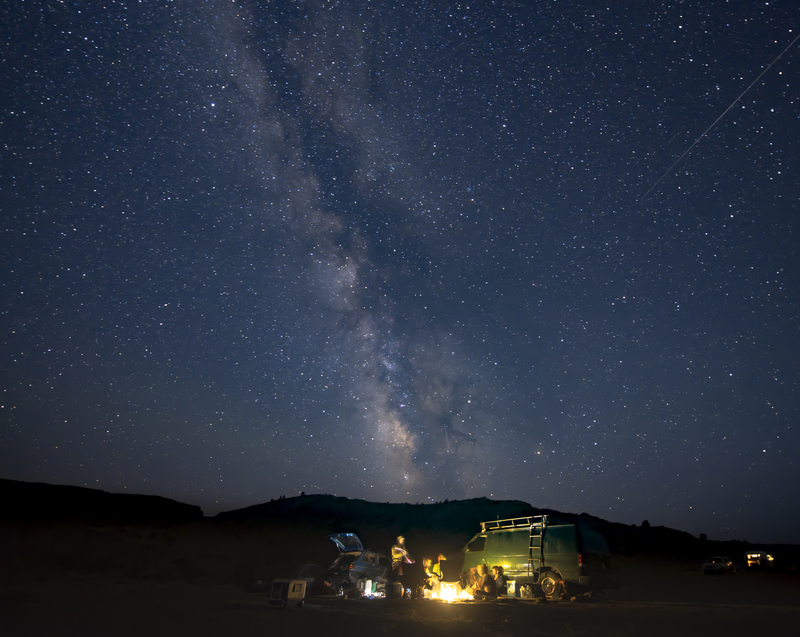 Just like on the trail, light and right doesn’t mean being unprepared. It means being efficient. Think of where are you going and why. Be selective of what you want and what you need. Packing for short trips doesn’t have to be stressful. 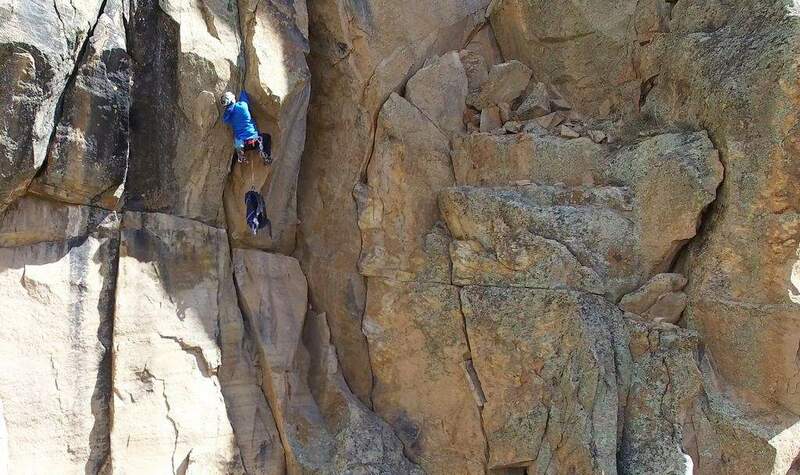 Make it a skill instead of a scramble and never check a bag again – at least for trips of three to five days. Photo by Brandon Mathis. Forget checking baggage for a short trip. A carry-on is all you need. It really is the only way to fly. According to United Airlines, the maximum dimensions for a carry-on bag are 9 inches x 14 inches x 22 inches, and that means wheels, handles, straps – everything. Carry-ons are not only self-assuring, they’re cheap too. And while lost luggage is declining (about six lost pieces for every 1,000 passengers according to SITA, an air travel information organization), in 2016 airlines in America collected over $4 billion in luggage fees. Skip the expense and carry it on. Photo by Brandon Mathis. Of course you get a personal item too, like the size of a messenger bag or small duffle in the ballpark of 9 inches x 10 inches x 17 inches. That’s perfect for a laptop, book, a device, water bottle, headphones and a notebook (the kind you actually write in) and inflatable pillow. One you have your items set, here’s an effective strategy for packing and better organization, plus tips for airport security. On a recent trip to Denver’s Outdoor Retailer show, we knew we’d need some double-duty clothes to look nice and to endure brisk walks around the city, but we’d also need room on the return trip. For any efficient packing, the key is to roll. You’ll be astonished at how rolling, not folding your items, will maximize capacity. When you’re packing for short trips, think of it as if you were lining your luggage with your things, not just placing them in there. 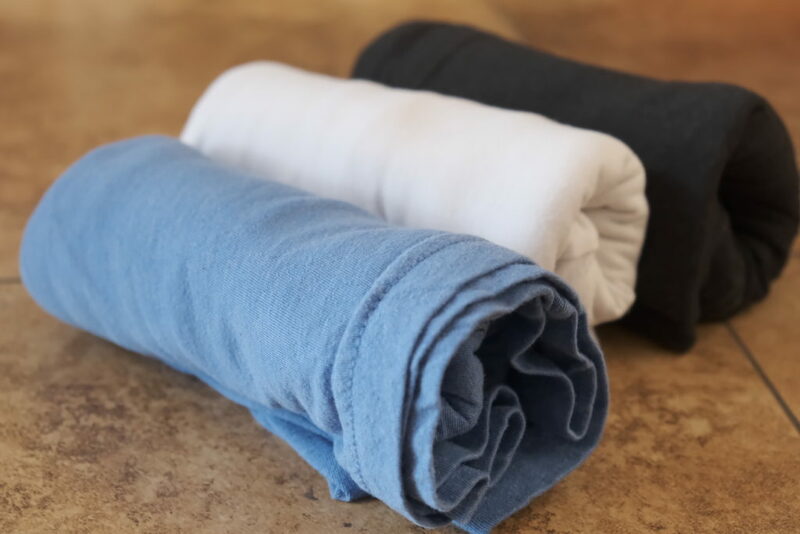 Rolling your articles of clothing will help you save space and pack more efficiently. Photo by Brandon Mathis. 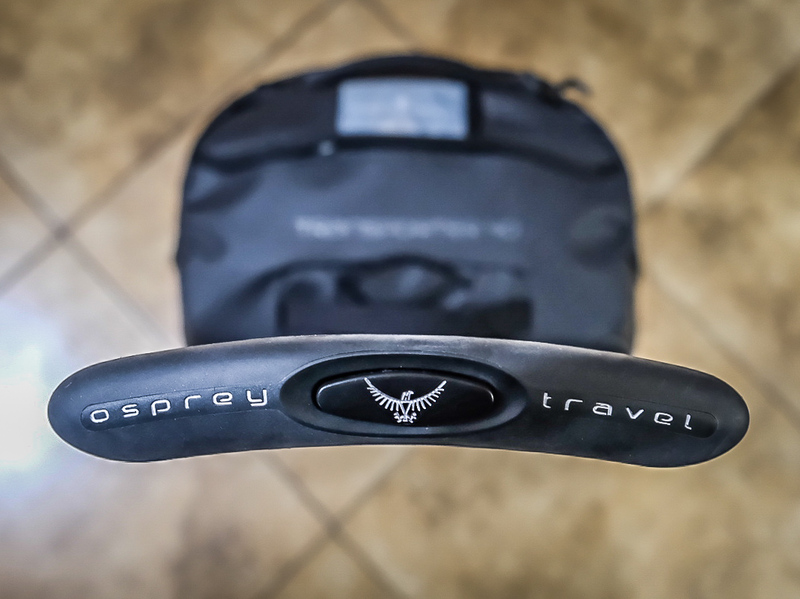 If you’re using a wheeled roller like the Osprey Transporter Wheeled Duffel (our favorite carry-on), heavy stuff like shoes and pants go on the bottom and lighter stuff goes up top. This will keep it sitting up right no matter what and make pulling it a breeze. With non-wheeled duffel style bags, strive for balanced weight. Here’s a clever tip: Keep all of your electronics together in your personal bag through airport security. 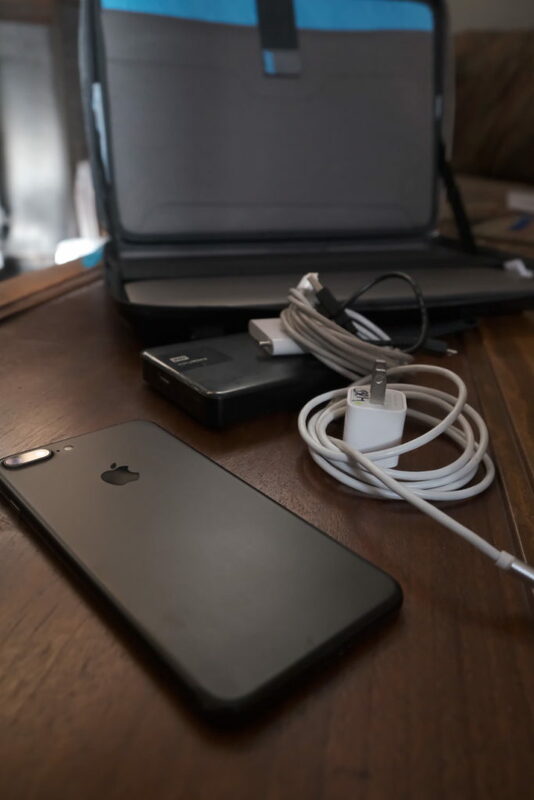 That means laptops and cameras, power packs and lithium batteries and smaller items like watches and chargers. Afterwards, gizmos and accessories you don’t need to access while flying can get packed in your carry-on. Sometimes you’ll need to pull out batteries from devices. When you’re thinking of how to pack, consider if a run and/or working out is likely. If so, then a plastic bag for your sweaty clothes is a good move. Even if you only have one outfit, a fresh set of boxers and a clean pair of socks can make a new man. 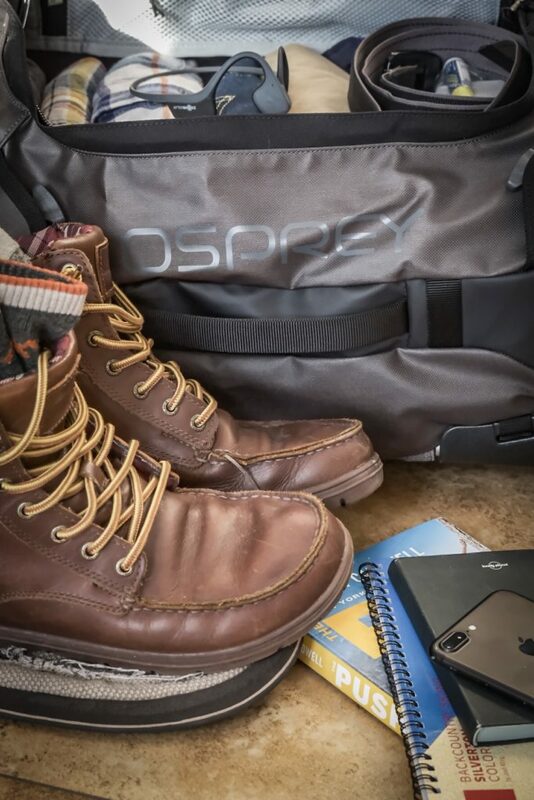 If you live a life on the road, or at the gate, companies like Lems and Sanuk make stylish and packable footwear that is great for traveling and comfort. Photo by Brandon Mathis. An empty soft flask water bottle like the Hydropak 500 ml is a great traveling convenience especially once you get through security at the airport. Instead of forking over $3 for 12 ounces of water on a layover, refill your flask at the fountain. 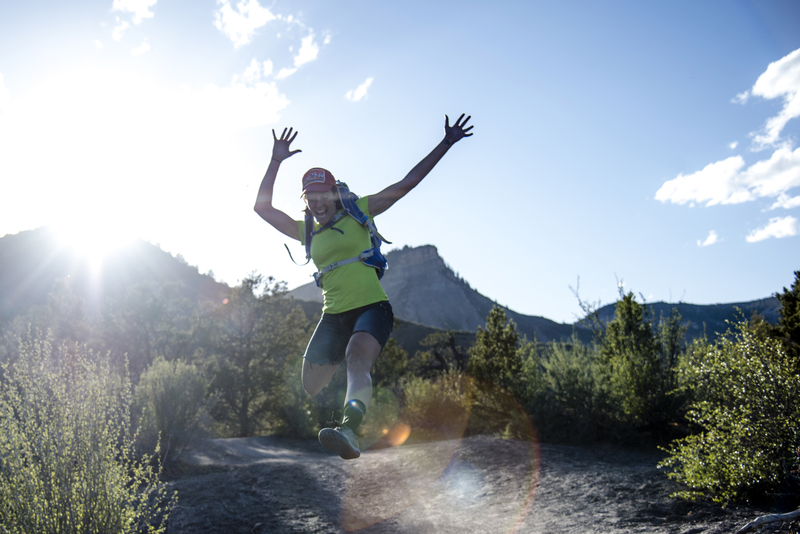 Plan when and where to get your run, ride, or workout in – be it the hotel gym access, closest trail system or destinations you can walk to from your accommodations. Remember, as little as 30 minutes of exercise can do wonders for your head. 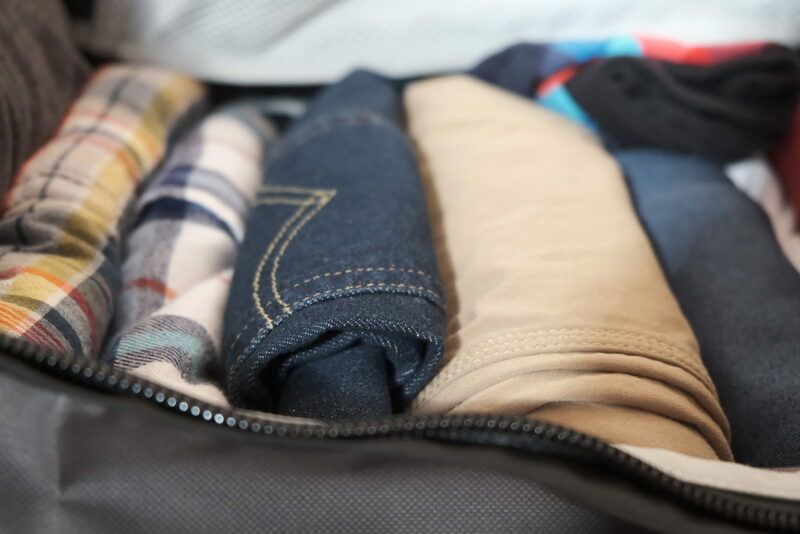 When it comes to how to pack, even if it’s the night before an early flight, catching a ride at the break of dawn or just heading south for the weekend, following these suggestions should have you better prepared and on your way. Don’t forget to bring back a souvenir.